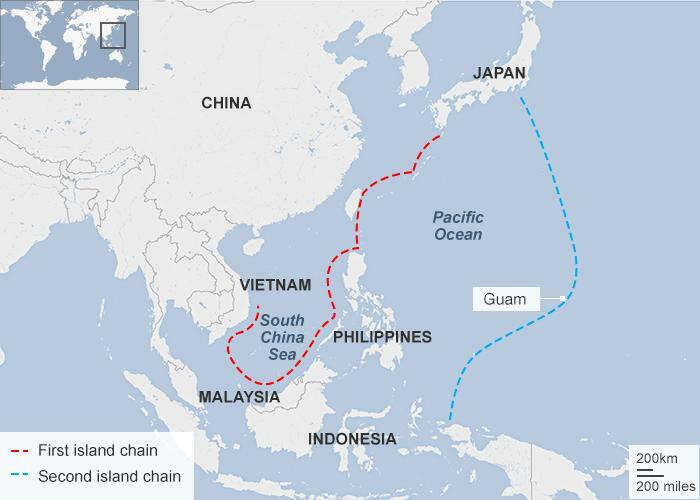 The BBC has a look at China's efforts to establish a foothold in the Spratley islands - China's Island Factory. 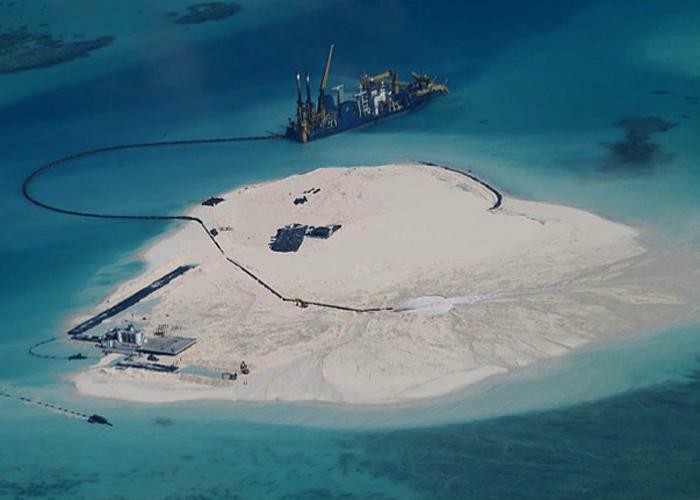 At the beginning of this year, the Chinese presence in the Spratly Islands consisted of a handful of outposts, a collection of concrete blockhouses perched atop coral atolls. Now it is building substantial new islands on five different reefs. We are the first Western journalists to have seen some of this construction with our own eyes and to have documented it on camera. On one of these new islands, perhaps Johnson South Reef, China seems to be preparing to build an air base with a concrete runway long enough for fighter jets to take off and land. Plans published on the website of the China State Shipbuilding Corporation are thought to show the proposed design. China’s island building is aimed at addressing a serious deficit. Other countries that claim large chunks of the South China Sea - Vietnam, the Philippines, Taiwan, Malaysia - all control real islands. But China came very late to this party and missed out on all the good real estate. Beijing only took control of Johnson South Reef in 1988 after a bloody battle with Vietnam that left 70 Vietnamese sailors dead. Hanoi has never forgiven Beijing. Since then China has shied away from direct military confrontation. It is an oft-repeated statement that the coral atolls of the South China Sea sit atop potentially huge reserves of oil and gas. The struggle to control the Spratlys would certainly make more sense if it were true. But a recent study by the US government suggests the main oil and gas reserves under the South China Sea do not lie anywhere near the Spratly Islands. For China the struggle over the South China Sea is less about resources, though, than it is about sovereignty and strategic space. Nor is this just a quarrel with the Philippines and other countries bordering the sea. Instead it is about China’s real strategic rival - the United States. The US government does not acknowledge China’s claim, and the US Pacific fleet continues to sail regularly through the South China Sea. But the Chinese navy is beginning to grow more assertive.